Hook a wahoo, and prepare for battle! There are different ways to catch this powerful and fast but tasty species. 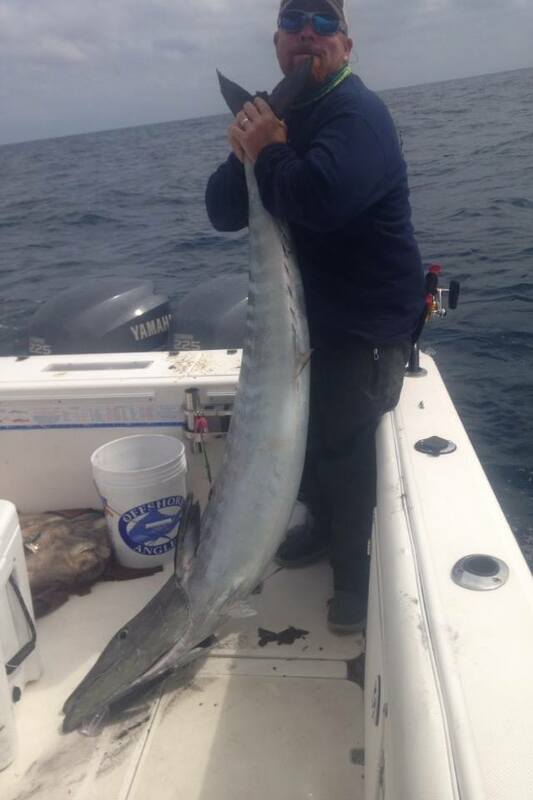 Biloxi Bluewater Charters often catches large wahoo; known as “ono,” meaning “good to eat,” in Hawaiian. The wahoo is a close relative of the king mackerel. Torpedo like, wahoo exhibit quick bursts of energy, and reach speeds of up to sixty miles per hour! These highly sought, oceanic fish possess small, razor sharp teeth. Fishing for Wahoo is much like other blue water fishing; a combination of science, techniques, and instincts, developed over a lifetime of fishing. Captain Jerry McClureis a leader in the offshore charter boat business! He uses various techniques when seeking wahoo, but often find them while trolling for other fish; like tuna, billfish and mahi-mahi. Artificial lures are mainly preferred, because they resemble natural bait, but travel at higher trolling speeds. Jerry uses an assortment of lures, that vary in color, shape, flash and weight; and are applied to current conditions. Although wahoo are a challenging catch, they are nevertheless abundant off the shores of Mississippi and Louisiana. Similar to other blue water fish, wahoo are caught year round; however, January, February and midsummer are the best times. The average size wahoo we bring on deck is about thirty pounds; but, we have conquered some that weighed over eighty pounds! So, be rested and ready to come aboard, with Biloxi Bluewater Charters, and encounter a “whale” of a wahoo! Schedule today, and let Biloxi Bluewater Charters help plan an offshore, fishing trip for you!